Have you ever had one of those moments while working in your cubicle or studying for an upcoming test when a friend or co-worker asks you something so stupid that all you can do is simply stare almost stupdified that they even thought of asking you such a messed up question? Ever wished there was a perfect sound bite for just such a moment? Well - wish no more. 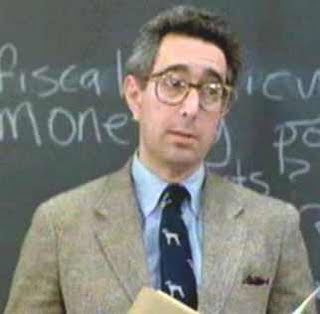 Click the pic below of the clueless teacher (played by the ever awesome Ben Stein) for the link to the perfect soundtrack to this stunned moment.